With whom are you traveling? The people you cruise with will help de­ter­mine the type of cabin you need. Most cruise ships offer staterooms or suites for additional space. Most staterooms have twin low­er beds, which can be combined to make a queen-size bed if you’re cruising with a spouse or significant other. If you’re traveling with friends, consider checking to see if a cabin comes with additional pullman beds. Be sure to look at bed configurations to best suit the dynamics of your group. Where is the cabin located? In addition to choosing the right size of cabin, it’s important to ensure that it’s in the right lo­ca­tion on the ship. Consult your ship’s deck plans to see where the cabins are located. Keep in mind that grand suites in the very back of the ship usually have balconies along with impressive views of the ship’s wake. If you book a for­ward-fac­ing balcony cabin, you will be able to enjoy the same views as the captain. Does noise matter to you? Before selecting a cabin, consider its proximity to dining areas and activities. Depending on your preferences, you may want to be closer to (or further away from) the action on board. 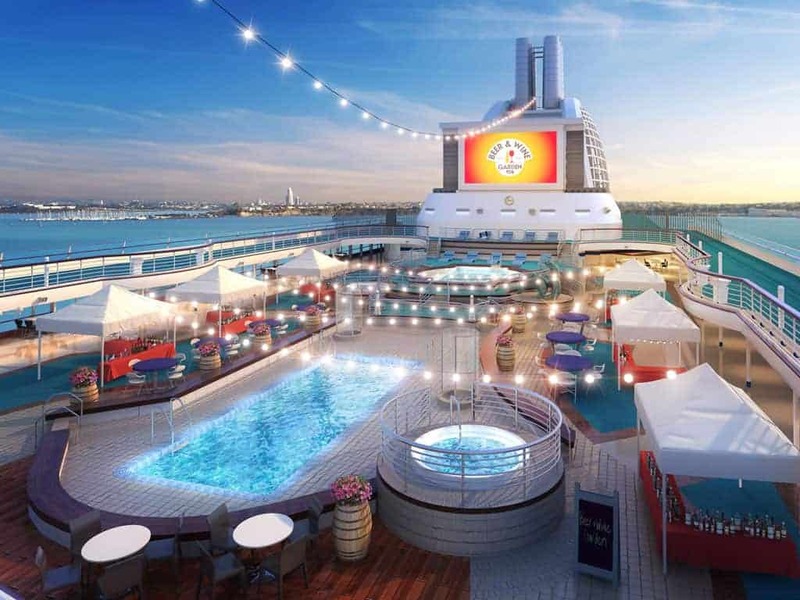 When reviewing the ship’s deck plan, get an idea of where the dance floors, bars, dining rooms, pools, and gym centers are located. If you’re a light sleeper, consider booking a cabin away from these traditionally noisy areas. Almost all cruise ship cabins come with satellite TVs and private bathrooms equipped with showers, but beyond that, not all cabins come with the same list of standard amenities. If you opt for a suite, your cabin will likely include multiple TVs, upgraded mattresses, a complimentary minibar, and a walk-in closet. Cabin amenities vary depending on the ship, so be sure to review what’s included in your room when booking your cabin. Do you want an unobstructed view of the ocean? Consider the amount of time you plan to spend inside your cabin. If you plan on spending a lot of time in your cabin, a good view of the ocean will be important. Interior staterooms don’t offer ocean views. However, balcony cabins often offer floor-to-ceiling glass doors and a small seating area on a private patio, as do most mini-suites and suites. Ocean-view cabins offer a window but no private balcony that can be partially or fully obstructed depending on the cabin location, so be sure to check if there’s any obstruction. When learning how to plan a cruise, consider these points in order to choose the cabin that suits your needs and preferences. With the ideal location and room size, your perfect vacation is bound to be a success.